Whether your cycling team needs event support for a national championship, target event, or help designing a training plan based on your team’s racing schedule, we can design a program of support to help your group achieve its goals. We’ve coached groups through multiple national championships, many state and district championships, and have extensive experience at national level stage races. 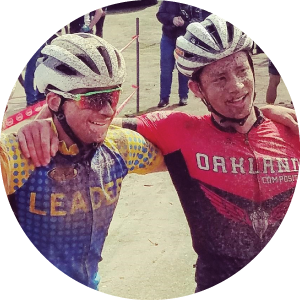 As the Performance Director for the Oakland Composite MTB team, John was thrilled to see this group win Best Overall Team in their conference in 2017. He also helped the Performance Coaching team win Best All Around Team at Masters Track Nationals in 2017.